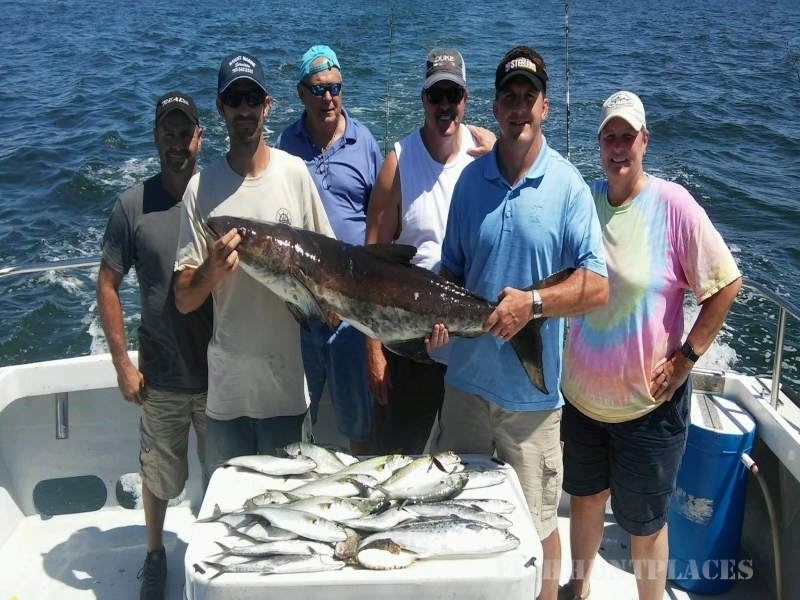 We fish half and full day charters all year long. 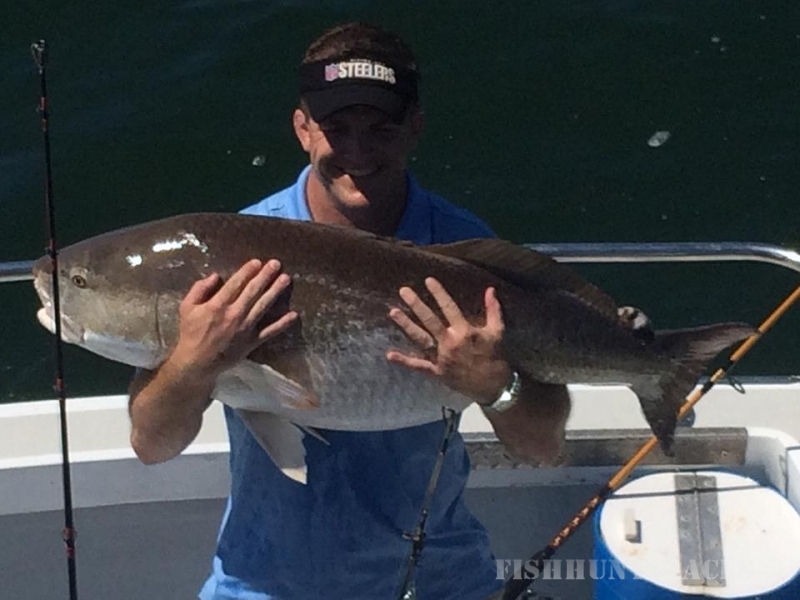 Charter fishing during the summer months in the lower Chesapeake Bay boats many citation size cobia, red drum and black drum. 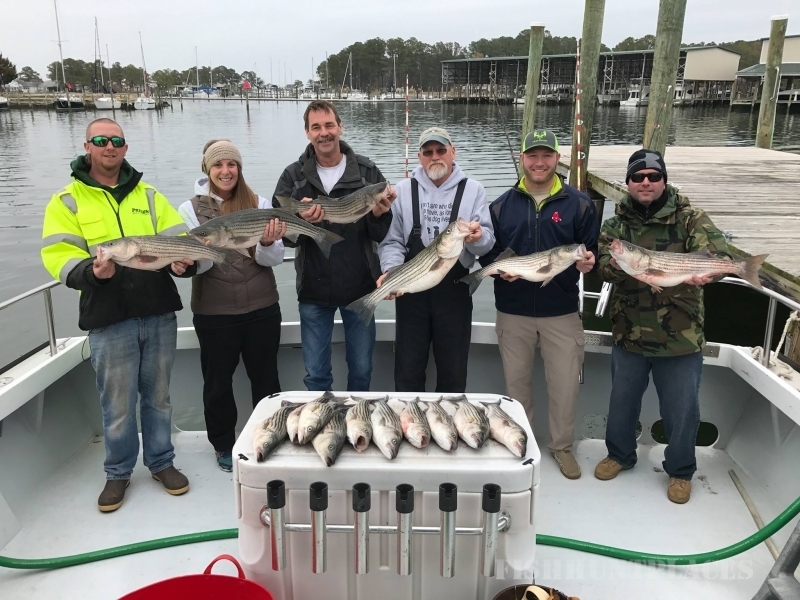 For saltwater anglers interested in catching fish using lighter tackle, we also offer bottom fishing charters for flounder, spot, croaker, bluefish, stripers, and trout, as well as wreck fishing charters for spadefish, and sheepshead. 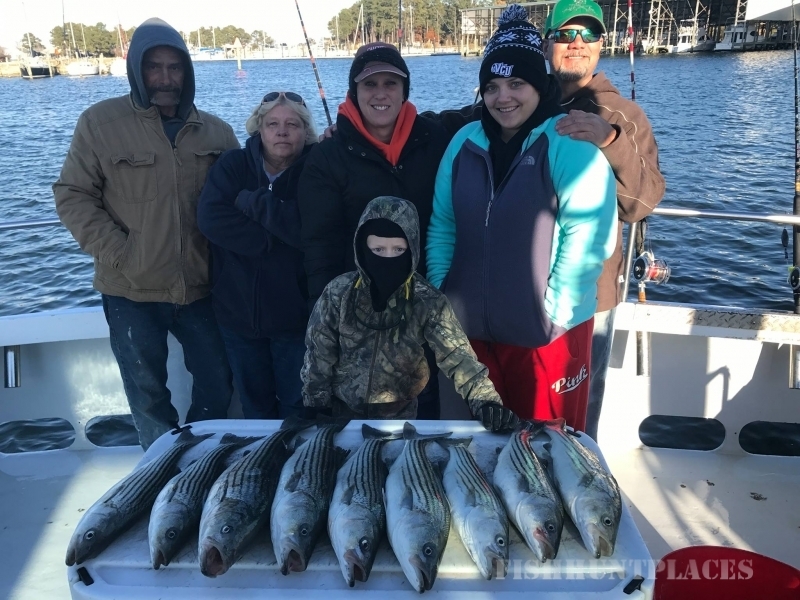 During the winter, we offer rock fishing charters for the best striped bass fishing in the Chesapeake Bay! 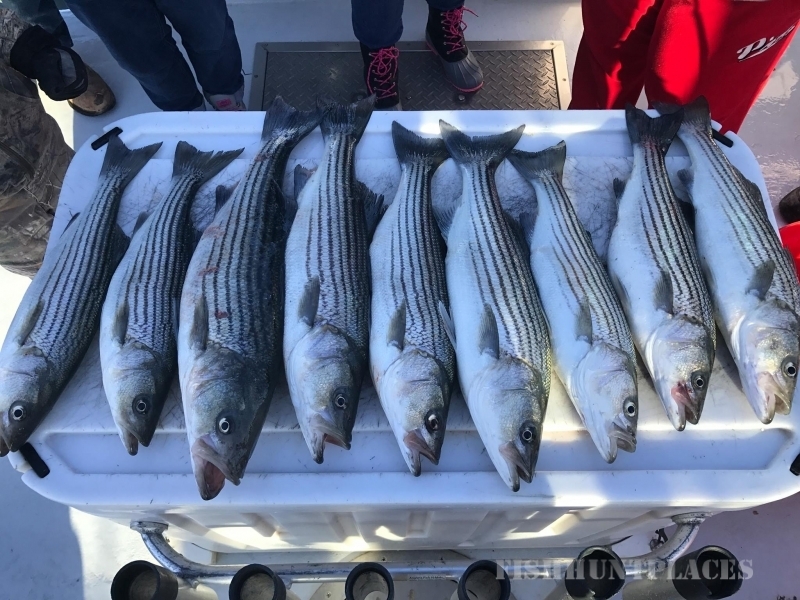 The boat charters out of Hampton, Virginia, just an hour southeast of Richmond, and minutes away from Williamsburg, Norfolk and Virginia Beach. Come experience Chesapeake Bay fishing at its very best! Fishing the Chesapeake Bay aboard Captain Hogg’s Virginia charter boat the “Smokin’ Gun II” is comfortable and safe. This boat is a 2008 custom-built 40′ Evans that is Coast Guard certified for charters up to 32 passengers. The boat is equipped with the latest electronics and fishing equipment. Powered by a 670 H.P. Cummins Diesel, this charter boat cruises the Chesapeake Bay at 26 knots allowing us to get to the fish fast so that charters spend more time catching fish than cruising.